The talk on medical device nightmares (video) showed some medical devices like which show and record vital signs such as the pulse or blood pressure. But also more fancy devices such as an MRI. Of course, he did not only show the devices themselves, but rather how they tested them on their external interfaces, i.e. the networking port. Speaking of the MRI: It exposed a few hundred open ports. The services listening on these ports crashed when nmap scanned the host… But at least apparently they recovered automatically. He also presented an anaesthetic monitoring device, which is supposed to show how much alive a patient still is. The device seems to have a telnet interface which you can log on to with default credentials. The telnet interface has, not surprisingly, a command injection vulnerability, which allowed them to take ownership of the device. The next step was then to hijack the framebuffer and to render whatever they wanted on it. For example nice looking vital data; as if the patient was still alive. Or, probably the more obvious thing to do: Show Rick Astley. It’s been an entertaining talk which makes you realise how complicated the whole area of pharmaceutical or medical appliances is. They need to go through a long and troublesome certification process, not unlike other businesses (say, car manufacturers). Patching the underlying Windows is simply not possible without losing the certification. You may well ask whether a certificate or an up-to-date OS is better for your health. And while I make it look a bit ridiculous now, I do appreciate that it’s a tough subject. 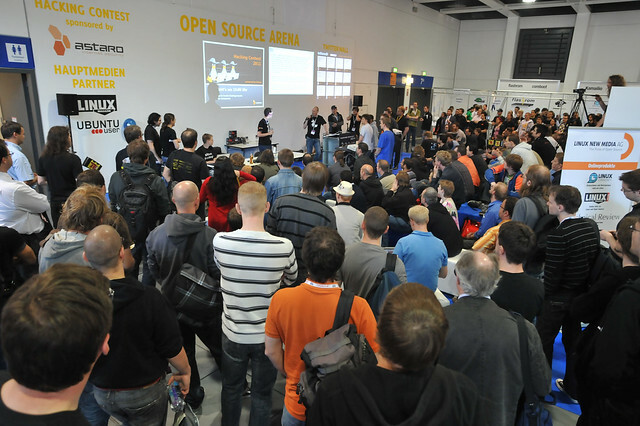 My own talk on GNOME (video) was well visited. I explained why I think GNOME is a good candidate for shipping security software to the masses. 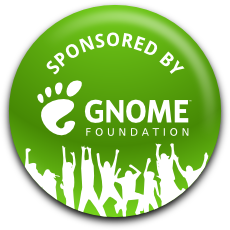 I said that GNOME cares about its users and goes the extra mile to support as many users as possible. That includes making certain decisions to provide a secure by default system. I gave two examples of how I think GNOME pushes the envelope when it comes to making security usable. 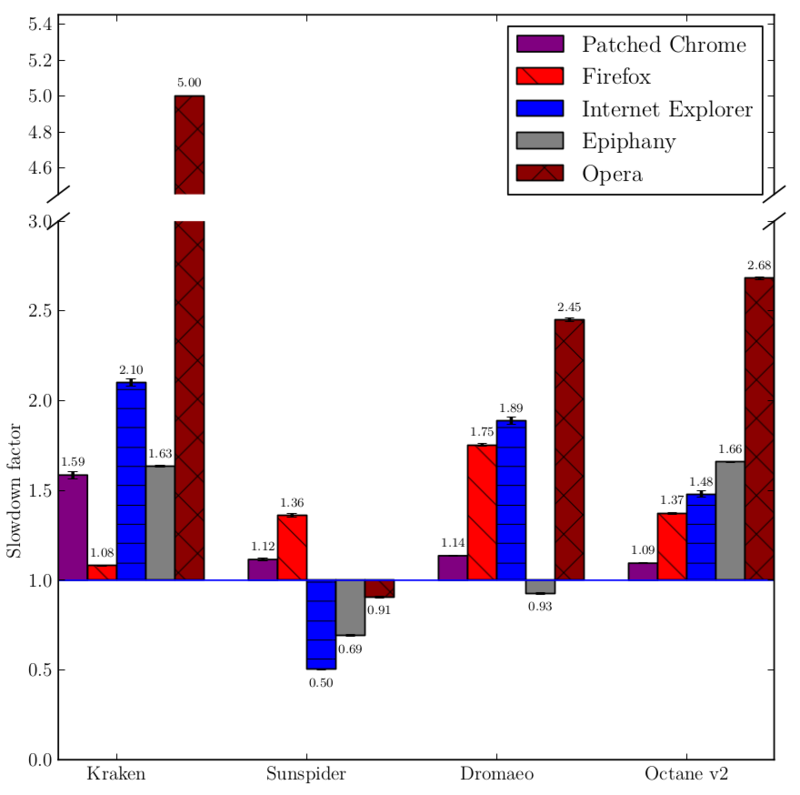 One was the problem of OpenPGP Keysigning. I mentioned that it’s a very geeky thing which mortals do not understand. Neither do many security people, to be honest. And you can’t even blame them because it’s a messy thing to do. Doing it properly™ involves a metric ton of OpSec to protect the integrity of the key to be signed. I think that we can make the process much more usable than it is right now while even maintaining security. This year, I had Andrei working with me to make this happen. The other example I gave was the problem of USB security. Do you know when you use your USB? And do you know when you don’t? And do you know when other people use your USB? I talked about the possibility to lock down your USB ports while you’re not in front of your computer. The argument goes that you can’t possibly insert anything if you’re away. Of course, there are certain cases to keep in mind, like not forbidding a keyboard to be plugged in, in case the old one breaks. But there is little reason to allow your USB camera to work unless you are actively using your machine. I presented how this could look like by showing off the work the George did last summer. My friend Jens talked about Reverse Engineering of applications. He started to explain why you would do that in first place. Analysing your freshly received malware or weaknesses (think backdoors or bypasses) in your software are motivations, he said. But you might as well tinker with old software which has no developer anymore or try to find APIs of other software for interoperational purposes, he said. Let me note that with Free Software, you wouldn’t have to reverse engineer the binary But he also mentioned that industrial espionage is a reason for people to reverse engineer a compiled programme. The tool he uses the most is the “file” tool. He went on to explain the various executable formats for various machine flavours (think: x86, ELF, PE, JVM). To go practical, he showed a .NET application which only writes “hello, world!”, because malware, he said, is written in .NET nowadays. In order to decompile the binary he recommended “iLspy” as a one-stop suite for reverse engineering .NET applications. Next up were Android applications. He showed how to pull the APK off the device and how to decompose it to JAR classes. Then he recommended CFR for decompiling those into Java code. His clients, mostly banks, he said, try to hide secret keys in their apps, so the first thing he does when having a new job is to grep for “secret”. In 80% of the cases, he said, it is successful. To make it harder for someone to reverse engineer the binary, obfuscators exist for Java, but also for C. He also mentioned some anti debugging techniques such as to check for the presence of certain DLLs or to throw certain interrupts to determine whether the application runs under a debugger. It was a very practical talk which certainly made it clear that the presented things are relevant today. Due to the limited time and the many examples, he could only scratch the surface, though. To hold those who taught me this art equally dear to me as my friends, to share the Net with them, and to fulfill all their needs for data when required; to look upon their offspring as equals to my own friends, and to teach them this art, if they shall wish to learn it, without fee or contract. By the set rules, lectures, cat content, and every other mode of instruction, I will impart a knowledge of the art to my own offspring, and those of my friends, and to students bound by this contract and having sworn this Oath to the Hacker Ethic, but to no others. I will use those data regimens which will benefit my users according to my greatest ability and judgement, and I will do no harm or injustice to them. I will not give a lethal maleware to anyone if I am asked, nor will I advise such a plan; and similarly I will not give a comuter a rootkit. I will not develop crypto algorithms, but I will leave this to those who are trained in this craft. Into whatever networks I go, I will enter them for the benefit of the users, avoiding any voluntary act of impropriety or corruption, including hurtful comments towards users or hackers, whether they are online or offline. I will keep faithfully secret. So long as I maintain this Oath faithfully and without corruption, may it be granted to me to partake of life fully and the practice of my art, gaining the respect of all for all time. However, should I transgress this Oath and violate it, may the opposite be my fate. 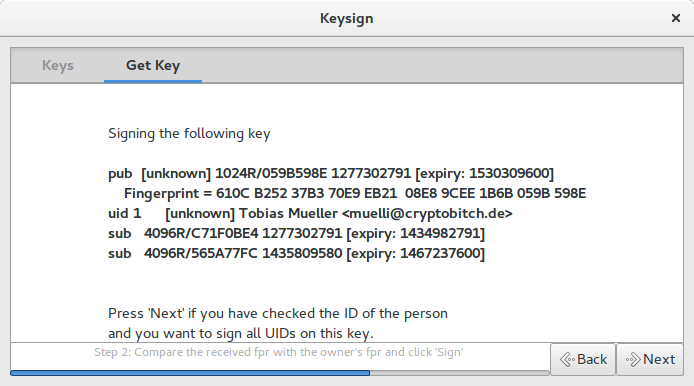 So GNOME Keysign is an application to help you in the OpenPGP Keysigning process. 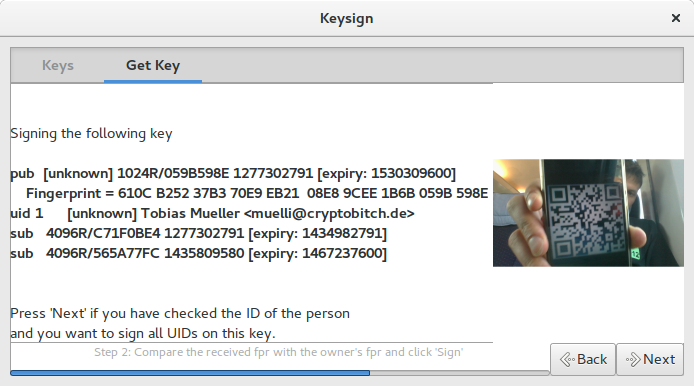 That process will eventually require you to get hold of an authentic copy of the OpenPGP Key. In GNOME Keysign this is done by establishing a TCP connection between two machines and by exchanging the data via that channel. You may very well ask how we ensure that the key is authentic. The answer for now has been that we transmit the OpenPGP fingerprint via a secure channel and that we use the fingerprint to authenticate the key in question. This achieves at least the same security as when doing conventional key signing, because you get hold of the key either via a keyserver or a third party who organised the “key signing party”. Although, admittedly, in very rare cases you transfer data directly via a USB pendrive or so. Of course, this creates a whole new massive attack surface. I’m curious to see technologies like wormhole deployed for this use case. The security of you going to the Internet to download the key is questionable, because not only do you leak that you’re intending to communicate with a certain person, but also expose yourself to attacks like someone dropping revocation certificates or UIDs of the key of your interest. While the former issue is being tackled by not going to the Internet in first place, the latter had not been dealt with. But these days are over now. As of 0.5 GNOME Keysign also generates an HMAC of the data to be transferred and encodes that in the QR Code. The receiving end can then verify whether the data downloaded matches the expected value. I am confident that a new generation hash function serves the same purpose, but I’m not entirely sure how easy it is to get Keccak or siphash into the users’ hands. The HMAC, while being cryptographic overkill, should be fine, though. But the construction leaves a bad taste, especially because a known key is currently used to generate the HMAC. But it’s a mechanism built-in into Python. However, I expect to replace that with something more sensible. In security, we better imagine a strong attacker who is capable of executing attacks which we think are not necessarily easy or even possible to mount. If we can defend against such a strong attacker then we may trust the system to resist weaker attacks, too. One of such a difficult attack, I think, is to inject just one frame while, at the same time, controlling the network. The attack could then make the victim scan a rogue barcode which delivers a rogue MAC which in turn validates the wrong data. Such an attack should not go unnoticed and, as of 0.5, GNOME Keysign will display the frame that contained the barcode. And now you can see the frame that got decoded. This is mainly because the GStreamer zbar element also provides the frame. Another interesting feature is the availability of a separate tool for producing signatures for a given key in a file. The scenario is that you may have received a key from your friend via a (trusted, haha) pendrive, a secure network connection (like wormhole), or any other means you consider sufficiently integrity preserving. 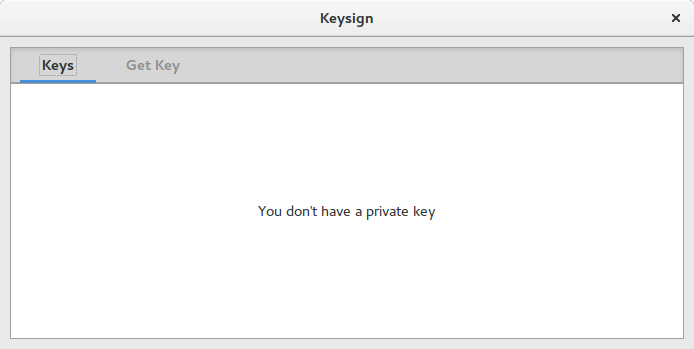 In order to sign that key you can now execute something like python -m keysign.gnome-keysign-sign-key in order to run all the signing logic but without the whole key transfer stuff. This is a bit experimental though and I am not yet happy about the state that program is in, so it’s not directly exposed to users by installing it as executable. GNOME Keysign is available in OpenSuSE, now. I don’t know the exact details of how to make it work, but rumour has it that you can just do a zypper install gnome-keysign. While getting there we identified a few issues along the way. For example, the gstreamer zbar element needs to be present. But that was a problem, because the zbar element was not built because the zbar library was not available. So that needed to get in first. Then we realised that the most modern OpenSuSE uses a very recent GnuPG which the currently used GnuPG library is not handling so nicely. That caused a few headaches. Also, the firewall seems to be an issue which needs to be dealt with. So much to code, so little time!